There are many museums in London, but today we look at a sprinkling of them – those that should be included during your itinerary. Madamme Tussauds is all about fun. The home of waxworks in the UK, the premises holds wax images of hundreds of fmaous faces – past and present. Be photographed with members of the Royal Family… or perhaps with members of the latest boy band. Politicians, actors, sportspeople – there is something here for everyone. The Natural Portrait Gallery holds images of some of the most important people from throughout history. Everything from paintings of Queen Elizabeth I to photographs of David Bowie, the premises arguably boasts one of the most diverse, and certainly largest, collections in the world. This is an extremely hands on museum, in which people of all ages can learn more about life, the universe and the wonders of science and nature. This museum takes pride in its interactive galleries and it is these that consistently put it on the map as one of London’s most popular museums. A learning experience that is all about fun. For anyone who simply wishes to learn more about the world we live in – the Natural History Museum takes you on an anthropological journey through time. Both children and adults will enjoy the expèrience equally. A super family day out. This museum is for lovers of ancient history. This sprawling building houses some of the world’s best collections of artifacts from ancient times including Egyptian, Roman, Greek, Phoenician and Assyrian.. The word Museum comes from the ancient word, “Muse,” and you are welcomed by the “muses” who are carved into the stone above the museum’s imposing entrance. 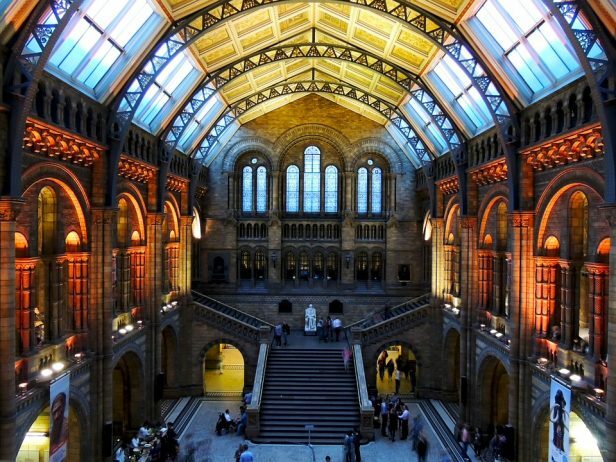 To include a visit to any of these museums in London as part of your tailor-made visit to London, contact us today.